Voltabox has newly developed a standard container that is designed to easily fit into all vehicles made by leading manufacturers of trolleybuses in Europe and North America. The container can be used as a traction battery for hybrid and electric buses. 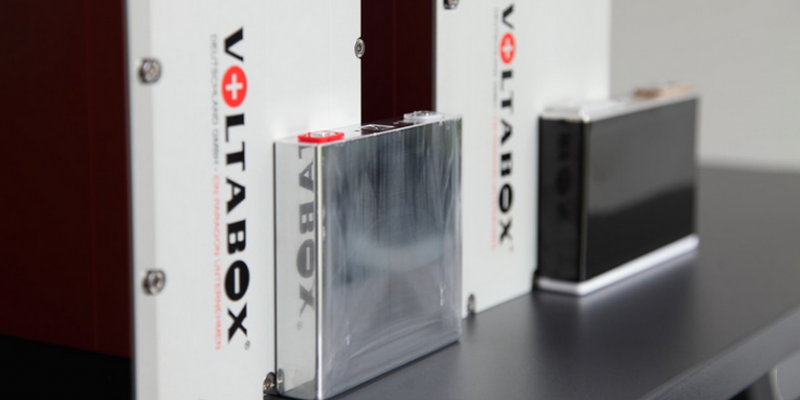 Voltabox 300 kg standard containers have an energy content of 15.2 kWh. The permanent charging capacity is 50 kW, with a peak capacity of 80 kW. A battery system consists of three standard containers, each of which contains twelve battery modules with cells based on lithium titanate (LTO). According to Voltabox, the new battery system generation has a service life five times longer than the previous battery systems for trolleybuses with more than 15,000 charging and discharging cycles. The system has already been tested in two trolleybuses in Arnhem, Netherlands. Kiepe Electric has now ordered the above 80 systems – ergo 240 standard containers – from Voltabox under a long-term project contract. They will be used in trolleybuses in four cities in Switzerland and Italy. Delivery is to be completed in spring 2021. The order also includes associated air conditioning systems for liquid cooling of the battery systems. Voltabox is not only using its technology for trolleybuses but trucks as well. They assert that they have the ideal technology for catenary (overhead line) concepts for trucks and that these solutions are currently enjoying an increase in attention. The start of series production is imminent. Last year was a big one for Voltabox as they were awarded orders for trolleybus batteries from U.S. transport operator Dayton as well as LINZ AG Linien from Austria. The German battery specialist company also expanded significantly last year with the acquisition of Texas-based engineering firm Concurrent Design followed by U.S. battery manufacturer Navitas Systems as well as the German supplier of battery systems for pedelecs Accurate Smart Battery Systems. Voltabox operates production facilities at its headquarters in Delbrück, as well as development sites in Aachen and Korntal-Münchingen in Germany. The company has further production facilities in Cedar Park (Texas, USA) and Kunshan (China).